John Oliver Killens’s politically charged novels And Then We Heard the Thunder and The Cotillion; or One Good Bull Is Half the Herd, were nominated for the Pulitzer Prize. His works of fiction and nonfiction, the most famous of which is his novel Youngblood, have been translated into more than a dozen languages. An influential novelist, essayist, screenwriter, and teacher, he was the founding chair of the Harlem Writers Guild and mentored a generation of black writers at Fisk, Howard, Columbia, and elsewhere. Killens is recognized as the spiritual father of the Black Arts Movement. In this first major biography of Killens, Keith Gilyard examines the life and career of the man who was perhaps the premier African American writer-activist from the 1950s to the 1980s.Gilyard extends his focus to the broad boundaries of Killens’s times and literary achievement—from the Old Left to the Black Arts Movement and beyond. Figuring prominently in these pages are the many important African American artists and political figures connected to the author from the 1930s to the 1980s—W. E. B. Du Bois, Paul Robeson, Alphaeus Hunton, Langston Hughes, James Baldwin, Martin Luther King Jr., Malcolm X, Harry Belafonte, and Maya Angelou, among others. 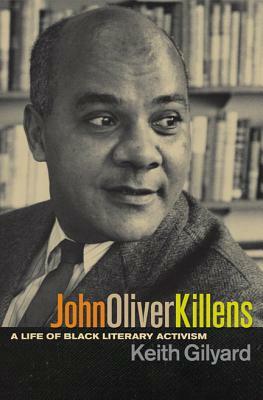 Tell us what do you think about John Oliver Killens: A Life Of Black Literary Activism.